After a recent stay at Disney’s All-Star Sports Resort, I figured I’d fill you all in on how my stay was. 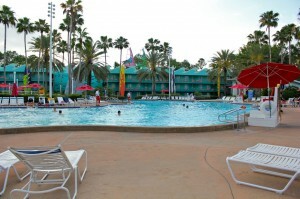 If you’re not aware, All-Star Sports is a value resort and is a part of a larger “chain” of value resorts. The others being All-Star Movies and All-Star Music Resorts. Prices are generally the lowest for these resorts, and many discounts often apply the most to All-Star Sports since it doesn’t usually fill up as quickly as the other value hotels on property. With such a strong “masculine” theme to the resort, many families don’t find the theming suitable for their entire group. As you might guess, each section of the resort is broken down into a specific sport such as football, baseball, basketball, tennis, and surfing. 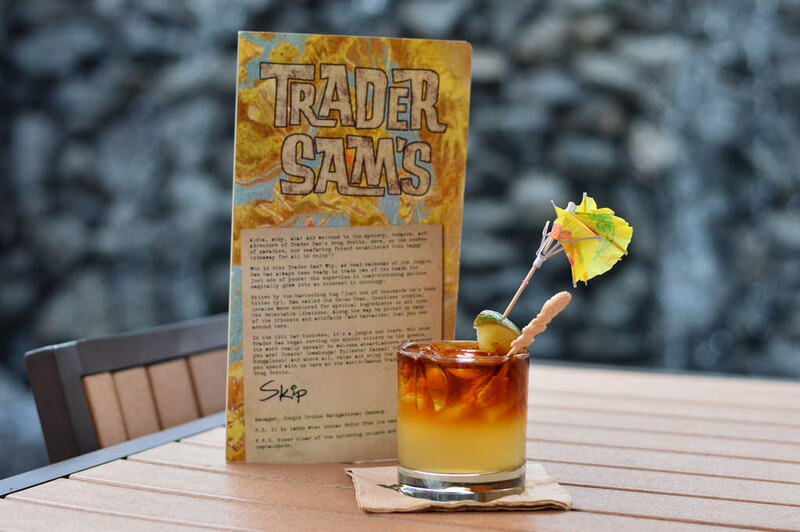 The “Surf’s Up” section is preferred and will cost you a bit more because of the close proximity to the main pool and Stadium Hall, the main building with the check-in/concierge desk, food court, and gift shop. Having stayed at All-Star Sports previously, I knew to request a building that would suit my needs since the layout is very large and very confusing. Honestly, I’ve gotten confused walking around there before but never had a problem at Pop Century for some reason. I put in my request for the Touchdown! section so I’d be close to the busses and lobby. While I thought the proximity was nice, there were other issues with that section that I’ll touch on later. Check-in was a breeze. No line and no chaos. I found the front desk staff to be knowledgeable and helpful. The lobby’s decor is bright and colorful, which is to be expected with a value resort. It’s definitely welcoming and family friendly. However, I personally have a distaste for Stadium Hall. I find it to be outdated and very 90’s. Along a main walkway in Stadium Hall hang large photos of famous athletes who were once popular. Not many current big time sports stars are displayed, and virtually every photo is faded, which I can only assume is from the direct sunlight that shines on that wall. I think Stadium Hall dates the rest of the otherwise up-to-date resort. My traveling partner (my mother) and I found our room over in the football section of the resort quite easily. I was pleased initially to find that we were facing the giant football field. This was something I’d later regret being so stoked about. The room itself was spotless and tasteful. All of the rooms at the All-Star Resorts are 260 square feet. I found that for 2 people it was just fine, but having 4 would feel like a tight squeeze. The room itself was wonderful, and we were pleased with everything. I actually like the decor at the All-Star Resorts more than Pop Century’s. However, my big issue with the room wasn’t discovered until later that first night. As I said, my room was facing the giant football field. I think I should also mention that during my stay I saw MANY school sports teams and other youth groups also staying at All-Star Sports. I didn’t have a problem with this at all until nighttime. Every single night of my stay I could very easily hear groups of kids playing outside of my room. It was so loud that the air conditioner did not drown out much of the sound, and at one point I could hear definite foul language. Disney does have a large white sign that is set up in the middle of the field explaining that after 10:00 p.m. a quiet time is observed. This was never enforced by resort security at all. One night I came back very late, around 12:30 a.m. and saw a large number of kids still out there playing loudly. If Disney is going to flaunt a “quiet time” then it needs to be enforcing it. If you’re thinking of requesting a section and would like to make sure you’re given a quiet rest at night, ask to be on the opposite side of the building so you’re not facing a large play area. On this particular stay at All- Star Sports, I made sure to check out the pool on a nice sunny day. The main Surf’s Up pool is very large and can accomodate a lot of people. Even though the lounge chairs were quite occupied, the pool seemed more than large enough to allow everyone some space. Typical of the value resorts, there is no water slide for kids to enjoy, but there are many poolside games put on by staff to keep kids entertained. I took a big leap of faith and also checked out the End Zone Food Court found inside of Stadium Hall. I hadn’t heard good things, so I was a bit cautious. While seating was ample, the ordering area is very small, and when busy can become congested. However, I went in at about 5:30 p.m. for a quick dinner and was the only soul ordering food. The selection seemed a little limited, and I settled on a the special of the day, Seafood Gumbo. First off, the staff was awesome! They were really friendly and I could tell they were being genuine when they asked how my visit has been. The shrimp was cooked fresh for my entree, which impressed me. However, the rice and the gumbo stew portion had been sitting around for a while and didn’t taste as fresh. Overall, it absolutely was not worth the $10 I spent. My mom got a standard cheeseburger with french fries and was less than impressed. She’s very easy to please, and even she felt like she wasted her money. Oh, well! We can say we gave it a shot! Another place of interest inside of Stadium Hall is the gift shop. It’s smaller than most gift shops found in other resorts. You’ll find your standard souvenirs, as well as anything (toiletries and such) you might have forgotten to pack. Some of the items that you can purchase are sports related. Even athletic attire is available for anyone interested. I used Disney’s bus system on this trip, and overall I had no issues with having to wait an extended amount of time for a bus to get to any park. I did find that the bus stop area was pretty small, and when a large group walked up, they found it hard to find a place to stand in line. The return trips from parks back to the resort were a bit of a pain at times. There didn’t seem to be enough busses to service the large crowds, which is a typical problem with many Disney resorts. One night in particular at Magic Kingdom ended up being a nightmare beyond belief. A large group of high school kids had surrounded us in line. They thought it was perfectly acceptable to go from the back of the line to the very front of the line to be with their friends. As you can imagine, after watching two busses get filled up without you, line cutting is a sure fire way to tick some folks off. I’m sure this problem is more frequently found at value resorts where school groups are staying. Security should definitely be increased at the parks to deal with this very annoying, very unfair issue. I’d probably stay at All-Star Sports again. Only, I’d make sure to be placed in a quiet room. I would also eat before I came back to the resort so I could stay far far away from that food court. While I don’t think that the resort is for everyone, I would suggest it to folks trying to save some money on their lodging expenses as long as they are willing to deal with a few of the less than wonderful features of the resort. 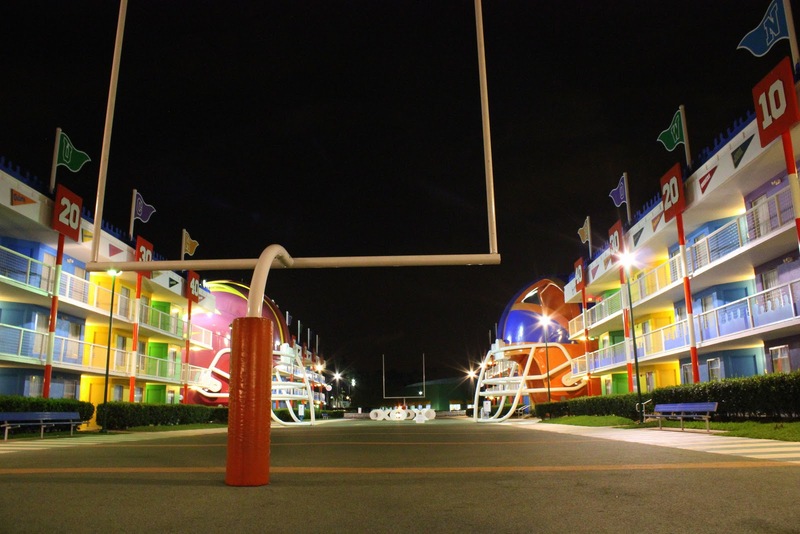 Have any of YOU stayed at All-Star Sports Resort? Share your experience with us in the comment section! 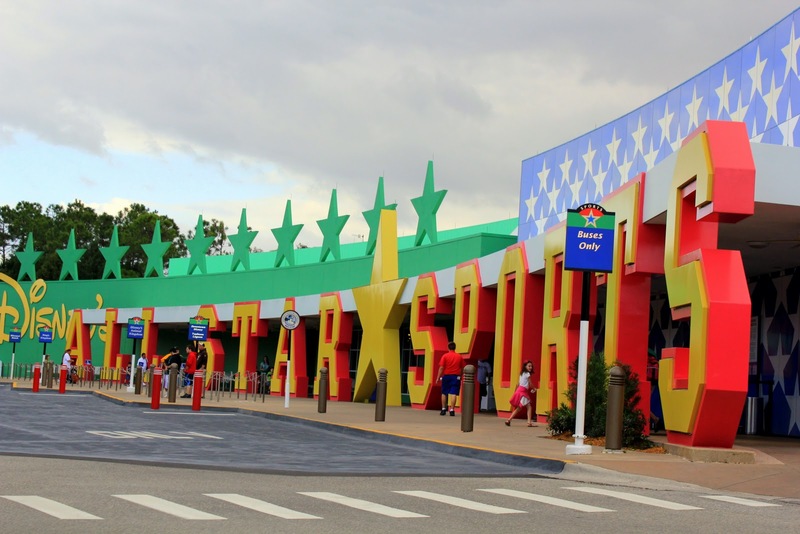 Our family has stayed at All Star Sports twice (most recently last October) and Pop Century 3 times, and we’ve never been bothered by large school or sports groups. And we typically go during Pop Warner week! I have 2 small children who are early risers, so bedtimes are often before 10pm for us, and we’ve never had an issue with outside noises being too loud. Last trip we were direcetly across the walkway from the baseball pool, and our 1st trip to Sports we were right on the football field, like you. Never noticed noises at night….during the day, yes. We ate a few meals in the food court. Mostly breakfasts but we did do 1 dinner. Our food was fine, it wasn’t horrible. I also noticed that the service was remarkable, the staff was very friendly and helpful. And we had no issues finding tables to sit at. I do agree that Stadium Hall needs an update, the decor is decidely 90’s and very outdated. i’m suprised that Disney would let something like not changning pictures on the walls go so long. I agree with you about the staff. Some of the friendliest resort staff I’ve found anywhere! Glad I’m not the only one that noticed the faded photos in Stadium Hall! I really wish Disney would just change that wall of pictures. It’s horrific! I’ve stayed at All-Star Sports a couple of times, and I’d bet I’ll stay there again. Not because I like it so much, but because you can get it CHEAP on Expedia sometimes, and as DVC members, my family likes to arrive a day before our DVC reservation so we can get a full day on that first DVC day. We’ve also used AS Sports as a place to stay during Marathon Weekend. In which case its kinda fun to take a picture in front of the Sport Mickey statue. I do wish they’d thought to incorporate more girls/women into the sports theme, though. Goodness knows there’s plenty of girl athletes for them to encourage. I first stayed at All Star Sports in 1994, back when it was nearly new. Even then I was horrified by the lack of female athletes on the wall. If I recall correctly, in the dozens of photos, only two were women (Chris Everett and Billie Jean King?). I even pointed this out to the hotel manager at the time. That’s a very interesting observation! You’d think Disney would notice that and make some changes. While I’m glad that Disney is doing a great job building new value resorts, I think they need to look at their older ones and make some small changes. Especially something as relatively inexpensive as a wall of photos. Folks that are looking to stay at the cheapest option will inevitably end up choosing an All-Star Resort. 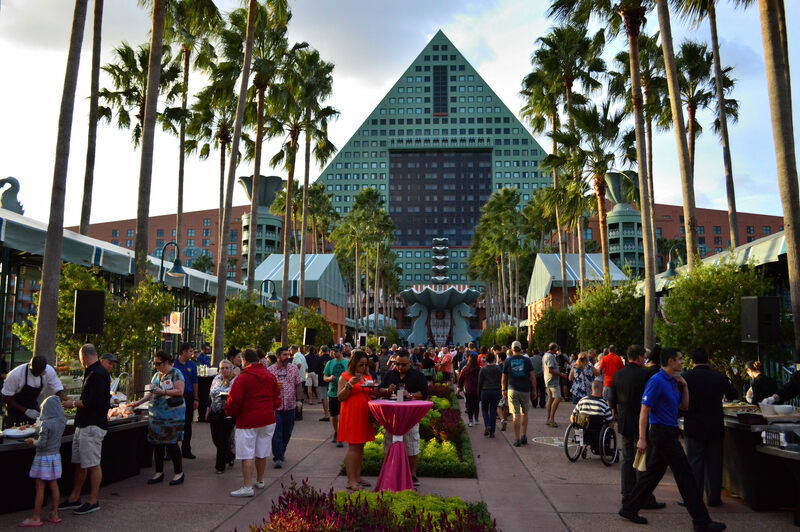 If it doesn’t make a good enough impression on first time visitors, Disney may be seeing people choose to stay off-site. Sometimes, it’s the little things that count. We stayed at All Star Movies for our first trip to Disney three years ago. We were really happy with the resort until about 10:30 at night when all of the soccer teams that were there decided to get very loud. We called and complained and they did seem to quiet down soon afterward. That’s the only drawback to staying at the value resorts that we experienced. We had our own car and didn’t need to use Disney transportation that much. On a previous stay to All-Star Sports, I was in the tennis section on the 2nd floor and I felt like I didn’t notice any noise at all then. Maybe it was just being on the football field and on the 1st floor that caused sound issues for me. I’m glad that Disney asked the soccer teams to quiet down for you. I haven’t stayed at All Star Sports yet, we have a trip booked in Sept. My husband is a big sports buff, so I thought he’d enjoy it. I have stayed at All Star Movies and really enjoyed that, including the food court. Willing to give Sports a try. Hoping to not be disappointed! Wonderful! Make sure you report back to us and let us know how you liked your stay at All-Star Sports! Our family of four has stayed at All-star Sports, Movies, and Music, but our last visit was a step up in Port Orleans Riverside. Definitely larger crowds at the All-star resorts each time and yes, All-star Sports in particular, seems to be showing some aging. Kids are now 14 and 16 so the extra space at PO Riverside was very welcome. We also found the wait times to get onto the DW buses much longer in general at the All-star sports. Our options at the food court also seemed a bit nicer. Only problem with PO Riverside is that it took us a few days to learn our way around the complex. We arrived at 10pm at night and we found the complex confusing to navigate, especially at night. We’ve stayed at Pop several times and at Port Orleans Riveside but we are trying AS Sports for the first time in September. There are five of us, including our 3 growing, active boys. We know we’ll like the theming and instead of trying to squeeze in one room at Port Orleans we are opting for adjoining rooms at Sports. It’s just a few dollars more for two rooms at AS Sp than one room at PO. Much more space and privacy for mom and dad! Plus, we’re driving so no transportation worries! Great post, Lot’s of detailed information. I’ve stayed at All Star Sports twice over the years. Both times were due to all the other Disney Resorts being booked solid during F&W! I agree with your comments regarding the noise, this is a legitimate issue that can ruin your stay if your not prepared for it. The best thing I can say about this Resort is that at least your on Disney property and you qualify for all the privileges of being a Resort guest such as free transportation and early/late entry to the Parks! Oh and it sure beats staying…dare I say it off property! we stayed at the A.S. Sports the first week of Dec. 2011. We go to Disneyworld annually in Dec. for our anniversary. We usually stay @ Pop Century, but decided to try a different “theme”. BEFORE I booked, I phoned to see if there were any “teen” events scheduled and was assured that there was NOT. I was informed that they film the Christmas parade on the weekend;having been there before at this time, I knew what that meant. Upon arrival at A.S. Sports, there was literally a TON of kids!!!!! We continued our checkin and were told the room was “as far away as you could possibly be put”(I had requested a quiet, close room….) We found out that the week we booked AND this resort a group “KNOWN” by Disney called Pop Warner was staying for the nearby ESPN football and cheerleading competitions!!!!! OMG!!! It was a nightmare and at midnight we went to the staff front desk and all but begged to be relocated!!!!!! After being almost knocked down by kids running everywhere,not to mention the noise, we had had enough!!! Disney did finally find us a great room at the Saratoga Springs resort, but this really put a damper on the trip and took up so much of our time. It’s a “money maker” that happens ANNUALLY, so Disney accommodates them. I believe that they should NOT allow others at this time to book here; I had even asked beforehand. IT WAS NOT A MAGICAL TIME. This year, I’m returning to the moderate class and staying where we had enjoyed it the best: Port Orleans. I hope this helps(SAVES)someone else the surprise dissatisfaction for their trip. Finally, there was even a coach for a cheer squad that was begging to move to a different resort to take his girls “out of this environment”. Disney isn’t cheap, even for their Value Resorts, they need to step up their rules and triple security for such events. Kids need boundaries!!!!!! That’s why TouringPlans.com is so great. 🙂 We went to Disney that same week (we checked out on the Thursday before the parade taping), and I had seen on the Crowd Calendar that there was a Cheerleading Competition (I think it was Pop Warner) that weekend. There are some other sites out there that will tell you what events are going on. My sister went last October and ended up there for ‘Jersey Week’. On our first trip our resort was loaded with Brazilian Soccer Players. I later found a listing on another site that says they travel to Disney every July. Sorry to hear you had such a bad experience. At least you were able to relocate and save your trip! 🙂 I can’t understand why they would say there were no events scheduled that week. We haven’t gone back to Value resorts since our first trip either. I wonder how the new Art Of Animation will be once they open the Little Mermaid section. Hopefully they will keep all the large groups at the All Star Resorts. For what it’s worth, I stayed in the All-Star Resorts during Pop Warner in 2010 and 2008, and my experiences were fine. I spent most of my time outside the resort and had rooms facing woods or parking lots (I didn’t request that). Had I spent more time in the resort pools, food court, or bars (all of which looked crowded at times), the kids (and their chaperones) might have bothered me. If you spend most of your time elsewhere, the fact that child athletes are around may not matter. But plenty of folks have had an experience similar to yours, and the warning is wise. As with most things at Disney, individual experiences vary significantly. I’ve also endured annoying noise at night at moderate and deluxe resorts (kids running down long deluxe halls at midnight is great! )–it’s dependent on one’s neighbors and room. All-Star Sports is often the cheapest with an AP discount, so plan to try my luck again there during Pop Warner this December. That’s what me and my partner used on our recent trip. Downloaded a free noise machine app. Set it to oscillating fan and cranked it up while the phone was charging. Slept perfectly, and didn’t hear a peep. Thank goodness for modern technology! I’ve stayed at All Star Sports. The common areas can be pretty loud, even into the wee hours. That said, I think your comments about the food court are a bit puzzling: in my experience, the food courts at the moderate resorts are virtually identical to those at the value resorts. Food courts at Disney World are hardly the place to expect find dining, but I’ve found the options to be passable. The food choices at All Star Sports should not dissuade anyone from choosing that resort. My family loves staying at the All Star Sports Premium location rooms. 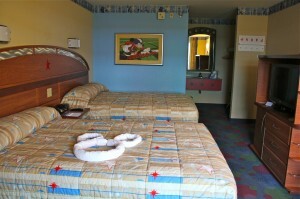 The rooms are closer to the bus stop and food court than the other Value Resorts. 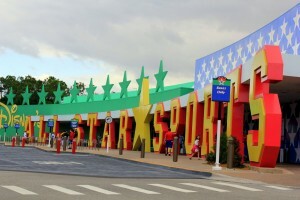 It is also a perk that the Buses always stop to pick you up first from the 3 All Star Resorts to go to the parks and you are the first to get off the bus as well. It is my favorite Value Resort to stay at. That dreaded football field, and the food. We were also in Touchdown! except on the other side of the building facing the woods. Every night on my way to the room from a long day at the parks, I remembered to thank fate that I ended up facing away from that field. There was virtually 0 noise heard on that side, minus the towel truck in the morning. If you don’t have smaller kids, I STRONGLY suggest requesting to be facing away from the football field or pool area. As for the food court…. It leaves much to be desired for lunch/dinner. The chicken Alfredo we had was the blandest food I’ve ever had outside of a nursing home. Breakfast is absolutely fine. My partner is a big breakfast person, where as I usually eat a yogurt or an orange, and we were both satisfied. All of that being said…. I still love AS:S and plan to stay there on my next trip again. It’s tradition! I don’t know if it is still true, but I was told that they do not book groups at the Pop. After having a terrible time with a huge group of unchaperoned teens at one of the All Stars, we’ve stuck with Pop and have not run into that problem problem over there. I wonder if they will assign AofA as the no “new groups” property, and open up the Pop to groups. Hope not. They really do need to step up enforcement of quiet times. When you are paying a premium to sleep on-property, you want to SLEEP! That was a pretty correct view of the resort. We take a group of 8th graders every year and we always choose All-Star Sports over the other value resorts for one main reason, it is the first bus stop of the value resorts so we can get on an empty bus inn the morning and be the first off after park closing. We have stayed at the value resorts for one reason only…price!!! We are Floridians and spend every single waking minute in the parks. We literally just use the room to sleep in so spending anything more for a room is just wasted money. The resorts are just fine for us as we are 4 with 2 kids under the age of 9. However, we have recently been staying off grounds as we have been getting great rates with rooms that include kitchenette and refrigerator for significantly less than what we would have paid on the grounds. Even with parking, we simply show our annual pass and the parking is paid for. Being that we go 3-4 times a year, price is always going to be the deciding factor, but we refuse to stay in rooms that don’t meet a certain standard. If Disney ever lowers their prices back to normal levels, we would stay on the grounds again. But at $30-$50 less than the value resorts with kitchenette and refrigerator, this is a no brainer. My wife is a cast member for Disneyland in California. We stayed at All Stars Sports for our 2nd year anniversary. Everything was going fine until we inquired about cast member discounts for the Blizzard Beach water park. The person at the front desk told us that my wife would get in free as a cast member and that I would get in for 50% off. She neglected to mention that the discount applied to Florida cast members only. We got all the way to the park before we found out that we were misinformed. When we came back to the hotel to complain about the misinformation, their management staff was completely unwilling to do anything to account for our inconvenience. They even said that any further action on our part could result in negative impact to my wife as a cast member. The moral of this story is: If you’re a California cast member and you are inconvenienced by this hotel staff, DO NOT expect equal treatment as a paying customer should you encounter blatant employee negligence as we did. DO NOT expect hotel management to give a flying $@#% about YOUR experience with them as THEY DO NOT CARE IN THE LEAST!!! We were paying customers at ALL STAR SPORTS but we were treated like we came in free off the street!!! !